"K12R" Accessories Chit-chat of 'must have' items and 'add-on's'. NOTE: Please use the Classifieds section if you have items For Sale or WTB! The only one I've been able to find is OZ$120 from the USA to Oz. Seems a bit pricey. 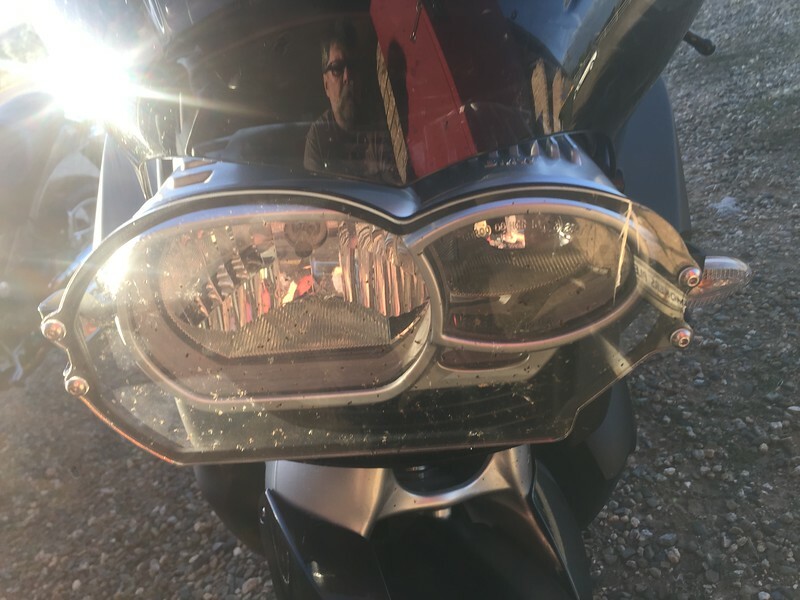 I've had one of their products on the bike for probably 10 years, it hasn't yellowed, and has one crack in it, likely from a rock strike that may have saved the headlight assembly. The crack does not appear to have threatened the integrity of the product, so I haven't replaced it. You may want to check with Jerry at www.pirateslair.net, as I bought mine for my '02K1200RS from him years ago. Don't know if he still carries the line. Cee Baileys? That's what I use on the K1200RS.Couldn't DIY because of the curvature. 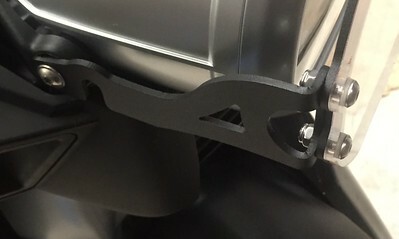 Had a look at their offering for the K1200R,looks like a flat polycarbonate guard? If so would take me less than 1/2 hr to make one on the bandsaw and polish the edges.$10.00 worth of material I bought to make a similar one for a GS and replace the broken Touratech was enough to make 3 guards. Yes, I use a Cee Bailey's, and the cost was about $70 as I recall. One plus to the CB is its shape more closely follows the outline of the headlight than another brand (Aeroflow? ), and so is a little less noticeable on the bike. Been happy with it for three years now. Thanks everyone. It's the Cee Bailey one that costs OZ$120 all up which is a bit pricey. I'm not keen on the velcro/3M dual lock look either. I was thinking along the lines of a version with a fold in it underneath where the attachment is out of sight. Another small curved fold above to hold it in place might work. I've seen that on the F800gs. Thanks Paul for the local contact. I'm toying with making it myself...can't be too hard, but if not then that place will get a call. Are the headlight dimensions for the K13 the same? I had a stand off plexiglass headlight protector on my KRS for several years then one day it was gone. After installing XPEL Headlamp Protection Film I find the light does not reflect back and I get more light on the road. 2017 Honda CRF250L ABS ... My "LRP"
"Where you stand depends on where you sit"
I have had a protector on my 1200 GT for 4 1/2 years and no problems. Not sure who made it, but bought it from the Pirate. 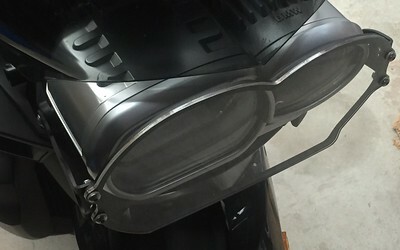 When I bought my bike, it was one of several recommendations from fellow riders here and I am sure it saved me from having to buy a new headlight. Have been using AMHP for years on F800ST, K100RS, K12RS. Still using them on these and other bikes. After they've been on 5 minutes you don't notice them. Easy to take off and put back on if you want to wash underneath (not usually necessary). The xpel looks like a great option. They don't list the K1200R though. Can the film be trimmed? The GS one is <US$25 so if it could be cut and trimmed it'd be a cheap way to go. Not as cheap as diy acrylic though. From a $2 offcut, I managed to make an acrylic one myself which was easy enough. Next step will be to bend it a tad to mate better to the two lights which are offset in depth. Then attach it. I bought a small sheet from them and cut it to fit my KLR. Works fine but the KLR headlight is almost flat. Less than $OZ35 delivered. For a 1200gs. I've slapped it on in a hurry tonight 'cause I'm heading away in the morning. I could have fitted a tad more even but it' ok for now. Trial this weekend...1800km ride. I have the 5mm thick plexiglass 15mm forward of the headlight, it seems to still throw good light at night. The instruments and small fairing hide most of the reflection from the abs plastic. Next week I'll mount it so it sits closer to the headlight...might require some bracket mod. Looks sturdier than the $$$$ Touratech one I had to repair on someone's 1200GS a couple years ago. and a few minutes work with the bandsaw made a replacement.Tried to remove the TT decal from the broken original to put it on my improved/sturdier version but no go on that. Improvement over the TT? Mounting holes on the TT were way too close from the edge of the plastic.Of course that's where it broke.Easy improvement and some nylon washers under the heads of the bolts. Talk about timely! 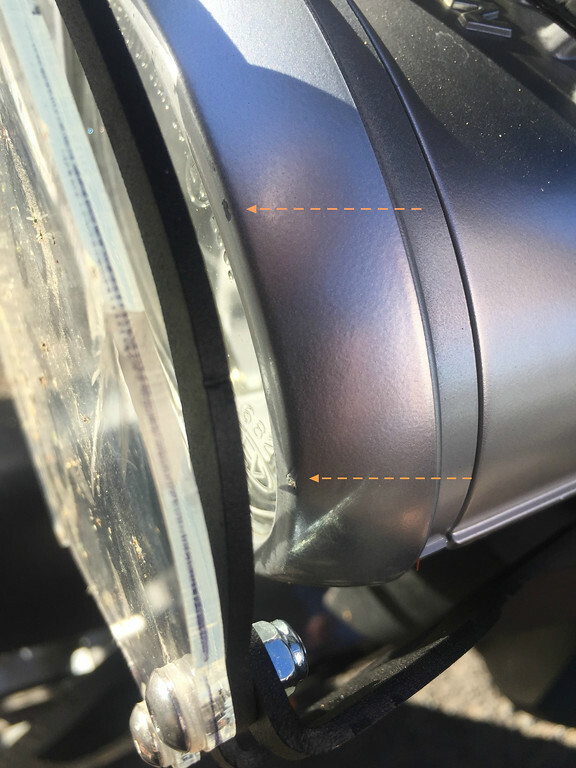 I was parked at the Jindabyne lake hotel when a ute backed into the bike and smashed the headlight protector. The lens cracked and the frame was bent. 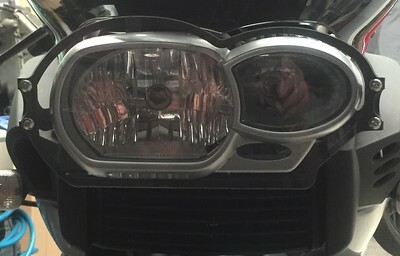 The left side was pushed back against the headlight but rebounded to be about 10mm from the headlight. There are 2 small marks on the headlight but otherwise no obvious damage. Assessment maybe today but the brackets otherwise look ok. It needs an expert eye.